To meet the various requirements of the customers, we are involved in offering a wide assortment of Digital Panel Meter. 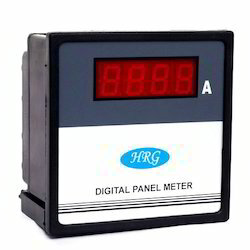 Enriched with years of experience in the industry, we are engaged in offering Digital Panel Meter. D.C Meters fitted in round, rectangular sens with anti parrallex mirror on bakelite stand with many different ranges. We have trusted names in the market for offering a wide range of Selec Meter. This product has various attractive features like dimensional accuracy, corrosion resistance, high strength, durability and crack resistance. Apart from this, these products are used in various applications. To meet the increasing demands of the customers, we are involved in offering best quality of Digital Panel Meters. 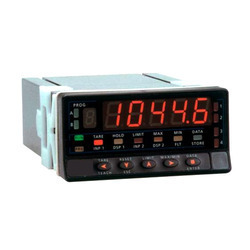 These Digital Panel Meters are extensively used to perform digital processing and display of voltage, current, pulse signal and others. Further, we provide these products at industrial leading prices. Electronet series DIAM-151KK is a Loop Powered Bar-Graph Indicator specially designed for various industrial applications where external power supply is not easily available. Bench top DMM for measurement of AC/DC - Voltage, Current &Amp; Resistance digital panel meter for measurement of AC/DC - Voltage and Current in different ranges. These are very useful and stable instruments at the work bench in any electronics lab. User manuals and probes are provided with the equipment.